Tell her she's one-of-a-kind by giving her a Roberto Coin Tiny Treasures collection snowflake pendant. The piece, crafted in 18kt white gold, is covered with diamonds to add extra shine. 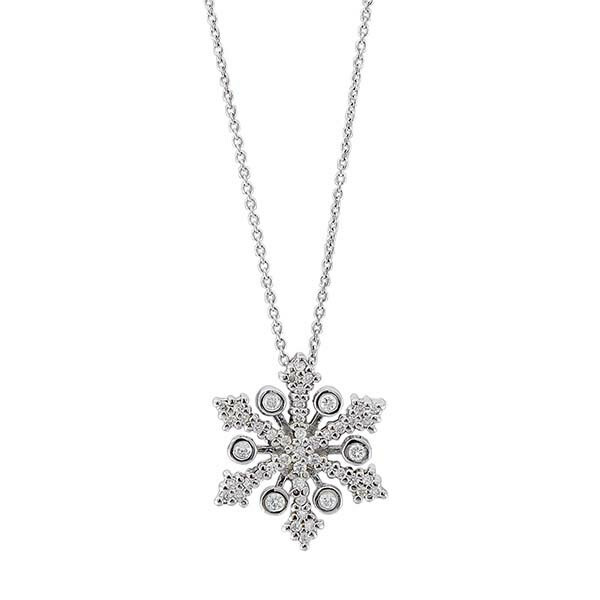 Any season is the perfect time to wear this white gold and diamond snowflake pendant by Roberto Coin.